The bigger wheel (or the elder sister) at Marina Centre is the world's largest. 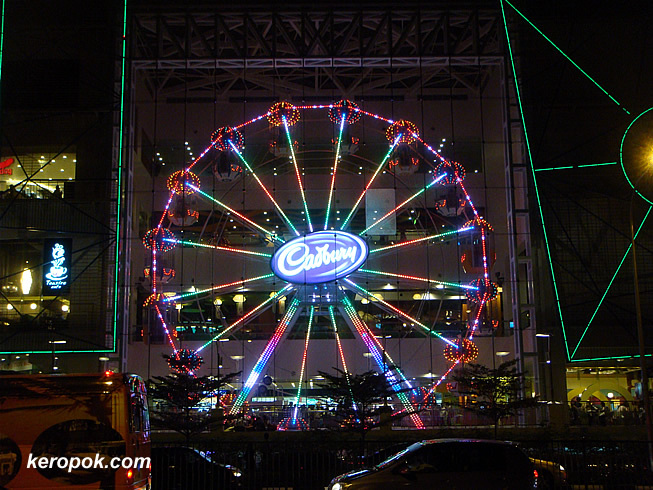 This little sister, the Cadbury ferris wheel is only 25 metre high and it's located inside a mall! So rain or shine, you can ride in it! I did not know it existed until only a few weeks ago. It's located at Downtown East. Amazing. Very pretty, too. Might be fun when you get tired of shopping! If you don't mention that this ferris wheel is placed indoor, I wouldn't realize it.